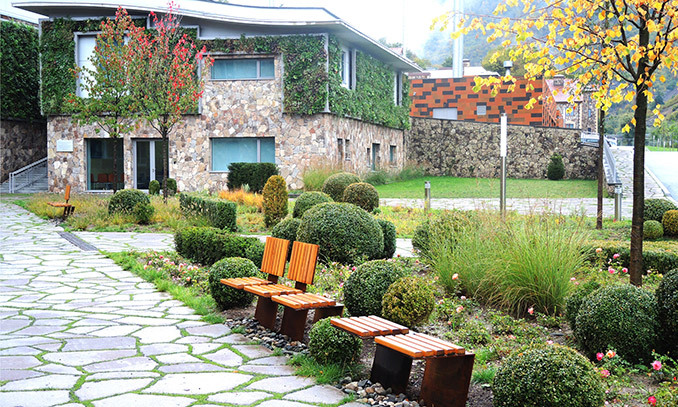 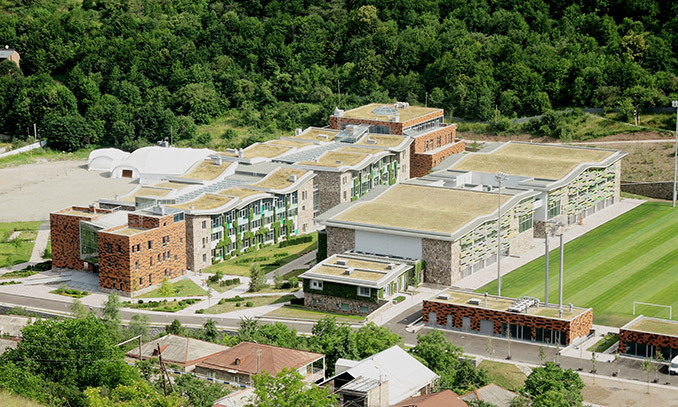 UWC Dilijan College is an international boarding school for 650 students. 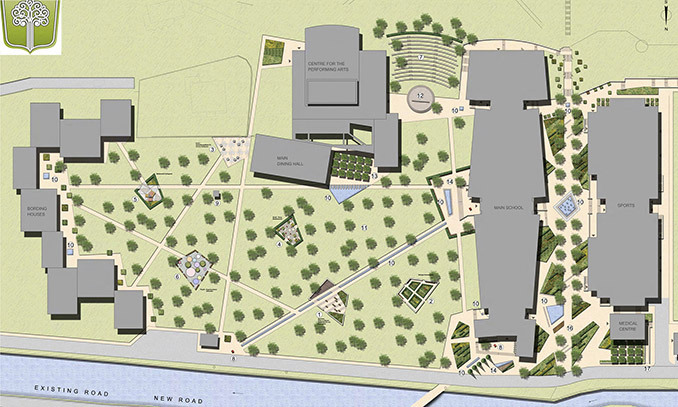 The architecture is created by Tim Flynn Architects, London. 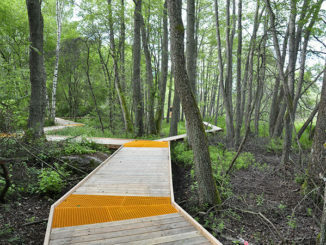 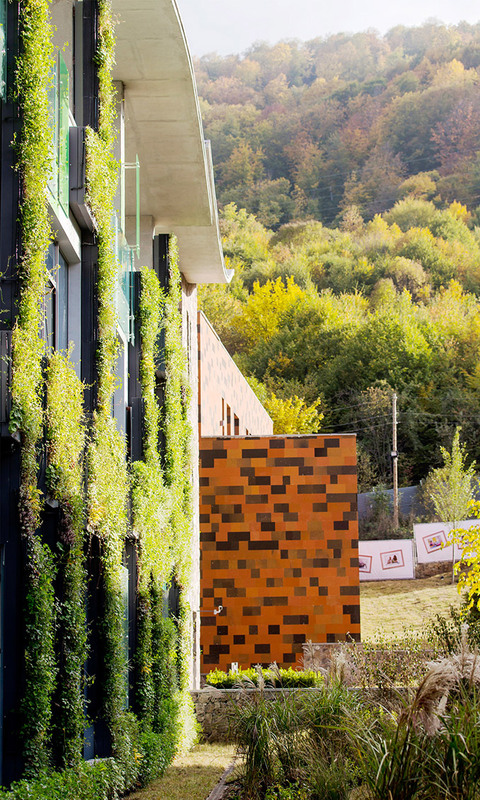 Particular attention was paid to environmental issues, and how to organically embed school buildings in the surrounding nature using the local materials. 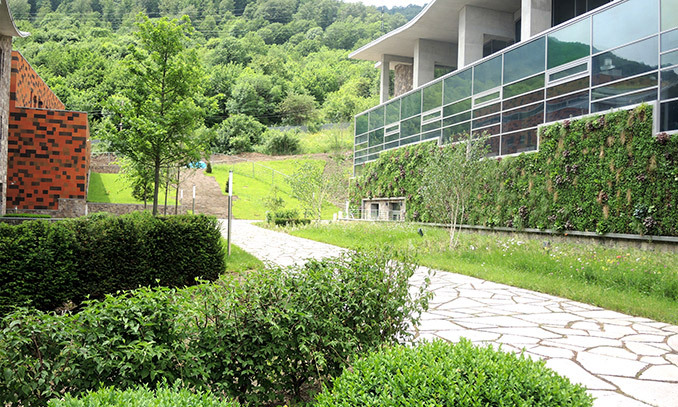 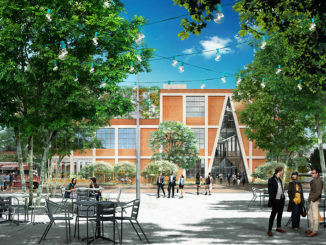 Based on the theme of “blend with nature”, this sustainable school design includes 4750 sqm of green roof and 1500 sqm of living walls that reflect the tranquillity of the mountainous surroundings. 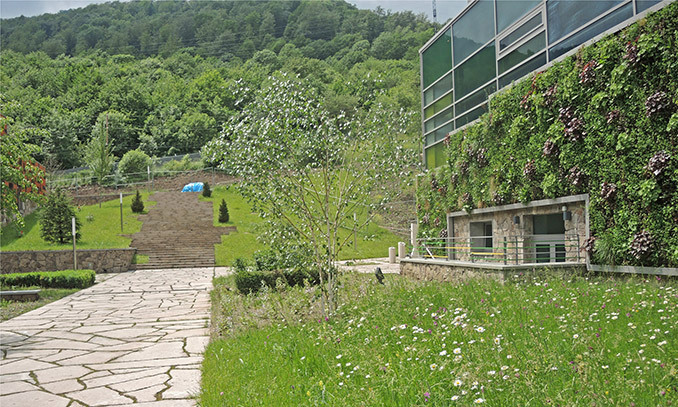 Rather than creating a manicured lawn, Armenian wildflower species of plants were collected, harvested and used by students and local population to create an extension of the National Park effect, so that the school itself seems to go through seasonal changes. 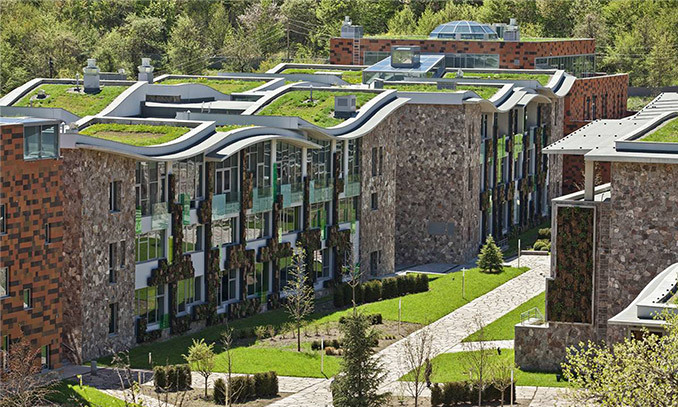 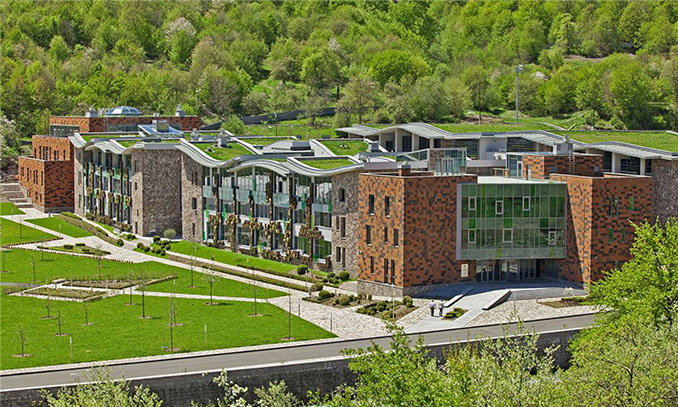 UWC College is the first BREEAM certified building in Armenia and has won the 2015 leadership award for the Trendsetting Architecture at the International Green Roof Association (IGRA) conference.